We’ve heard your pleas and are excited to announce that the next installment of The Amazing TAP Race is coming this May… only this time, summer edition! As a precursor to the upcoming summer festivities, we’ve put together an exhilarating race that you seriously don’t want to miss out on. Through a series of clues, riddles, and crazy fun tasks spread across the city, you’ll experience NYC in a way you’ve never quite experienced it before. This race will not only challenge your group’s intellect and creativity, but also educate you on the hottest new spots in the city. This time around, we are looking for pairs of applicants so find a pal to join you on this unique journey. You can also apply as a free agent, in which we’ll pair you with another person. More details will be sent to teams prior to the event, but come prepared to show off your NYC knowledge, capture Instagram-worthy photos, and create lifelong memories. Prizes will be awarded to the first three teams that make it to the finish line, and a bonus prize will be given to one special team for honorable mention – so bring your A-game to the starting line! The award ceremony will be hosted at the final pitstop where you can relax and get to know other teams. If you have any questions or concerns, don’t hesitate to contact Jordan at [email protected]. Not interested in competing, but still want to join in on the fun? We are looking for several dedicated volunteers to help make this event run as smoothly as possible! Please sign up to be a volunteer and we will reach out to you with further instructions closer to the date. 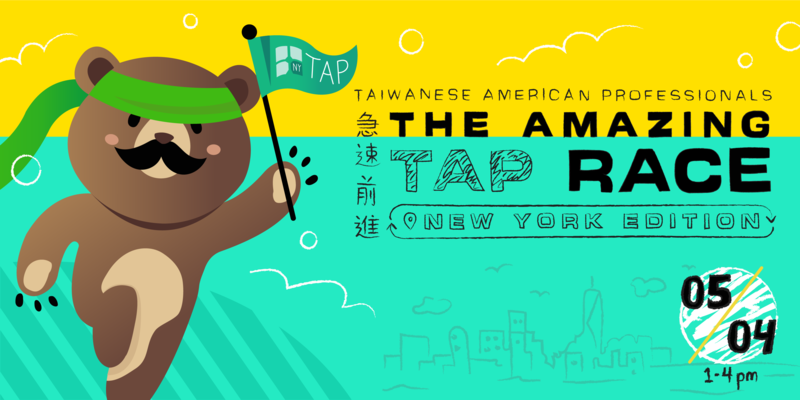 – TAP-NY events are 100% inclusive and are open to everybody, regardless of background. – None of these challenges will have any super intensive physical tasks. – Please be advised that you will be required to spend a minimum of 2 Metrocard runs during the race!